After your cus­tom lay-​up in the press above, have us CNC your parts to size. 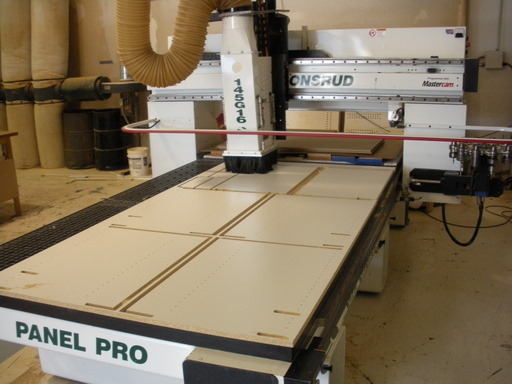 Our CNC machine will cut your parts to within thou­sandths of your requested sizes and always per­fectly square. We use nested base opti­miza­tion soft­ware. This means mate­ri­als are opti­mized to the fullest and waste is at a min­i­mum. Give us a call or email to request a quote.